Eventually, you will come to realize that there is so much more to climbing than just physical ability. Climbing is also a sport of the mind. This is why many dedicated climbers devote a lot of time towards rock climbing mental training. In the following article, we’ll discuss ways to work through mental blocks and how to train your mind to perform alongside your body. It may initially seem frivolous to spend time to train the mind when the benefits of physical training are so obvious. In reality, however, mental training can lead to substantial progress among all climbers from beginners to those climbing at an elite level. 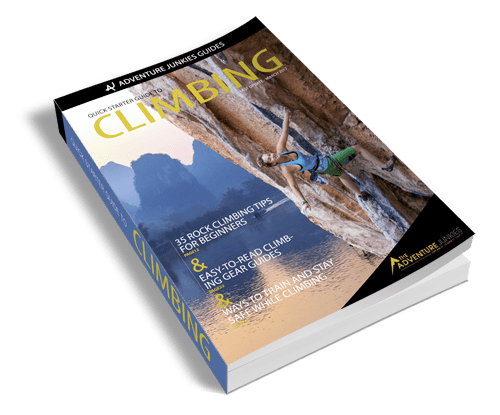 CLICK HERE to Download our FREE Quick Starter Guide to Climbing. It is an instinctive human response to have an aversion to falling. Hurling one’s body through the air off the edge of a steep cliff may not be natural, but that doesn’t mean that falling in rock climbing can’t be safe. There are inherent risks to falling such as hitting ledges or receiving a “hard” catch. But, careful risk assessment can significantly minimize the dangers. He was right, and I came to realize this over time through positive practice. Taking frequent falls can be scary. But after several with no negative impact, the fear of falling can be diminished via positive reinforcement. It is best to learn to take safe falls gradually. Begin by falling on top rope to get comfortable with the feeling of a rope catching your weight. When you’re ready to proceed to taking lead falls, start with small falls from below your bolt (or good trad gear), and work towards larger falls from at your bolt and then above it. Ensure that you have a belayer you trust and communicate well with, and that you are taking your practice falls in a safe space where you will not hit features when you fall. It is safer to practice taking lead falls on steeper rather than slabby terrain. Fear of success and fear of failure are not mutually exclusive. Climbers can develop a fear of either or both. These fears can become limiting to one’s progress in the sport. A fear of failure is fairly self-explanatory. Perhaps you always like things to turn out perfectly and the possibility of that not occurring is daunting to you. Maybe you’ve been criticized for failing in the past. Maybe you associate your self-worth with your ability to perform. In fact, failing does not need to be negative at all. Growth, learning and eventual success are all born out of taking risks and allowing ourselves the possibility of failure. You will never redpoint that next hard route if you don’t step out of your comfort zone and take a risk by trying. Remember, climbing is mostly failing with only a little bit of success mixed in. But, that is a beautiful part of the process. Also, remember that failing at something does not automatically brand you as a failure. Fear of success is more of an abstract concept. If you are plagued by feelings of self-doubt or if you worry about perceptions your partners might have of you, you may suffer from a fear of success. Perhaps you don’t like being the center of attention? Maybe you fear your climbing partners will be jealous if you succeed and it will strain your relationship? Maybe you are worried that succeeding feels boastful? Any of these feelings may indicate that you have a fear of succeeding and the expectations placed on success. 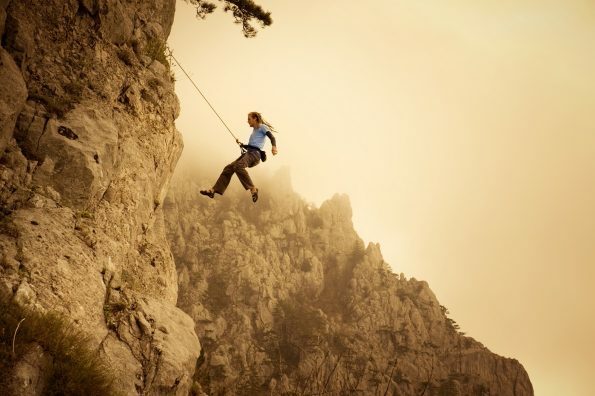 Unfortunately, a fear of success can greatly limit your potential in climbing. Try to remind yourself that climbing is an individual sport. No one really cares what you are or aren’t climbing. Besides, comparing yourself to others is a fruitless activity. Our self-worth is essentially how valuable we feel. A common trap that climbers fall into is allowing their self-worth to be dictated by their successful performance on a route. 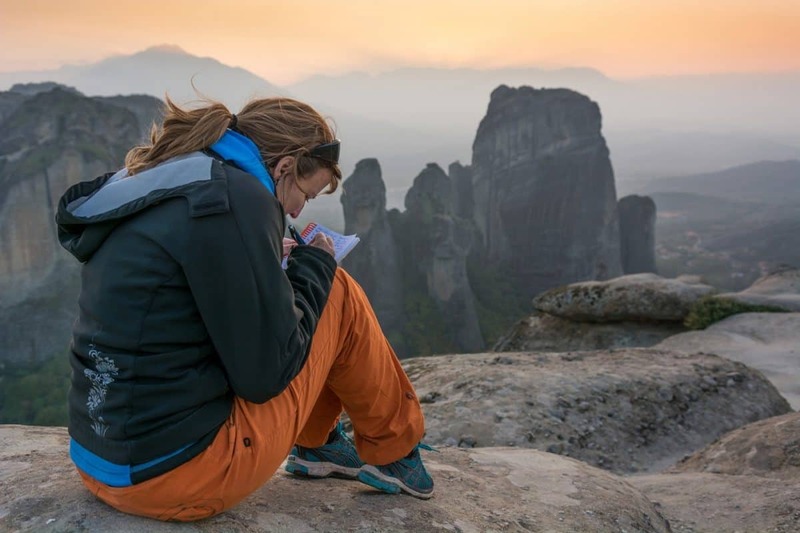 When climbers connect their self-worth too strongly with climbing, the need to succeed becomes overwhelmingly great to validate their self in the sport. This association decreases the inherent joy that climbers get from the sport and can lead to anxiety and let down at the crag. Basically, if a climber has a great day and succeeds, they feel uplifted and elated. But if the climbing goes poorly, they feel bummed out about climbing and even other aspects of their lives. It is very important to remember that it is the process of climbing, not solely the outcome, that brings us joy as climbers. Remember the love of the movement, problem-solving and overall challenge. Work on appreciating the inherent joys of climbing without letting the outcome of a day validate your self-worth. There are many strategies that can help bring you closer to sending that next big route. 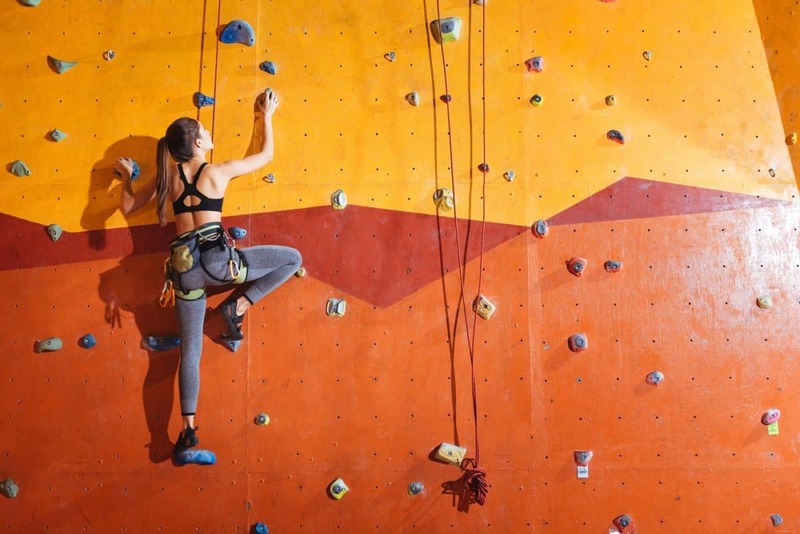 Visualizing yourself climbing a route can be a very powerful technique you can employ no matter where you are. When on the rock, take the time to memorize the beta so you can run through hand and foot moves, body positions and breathing even when you’re away from the wall later on. 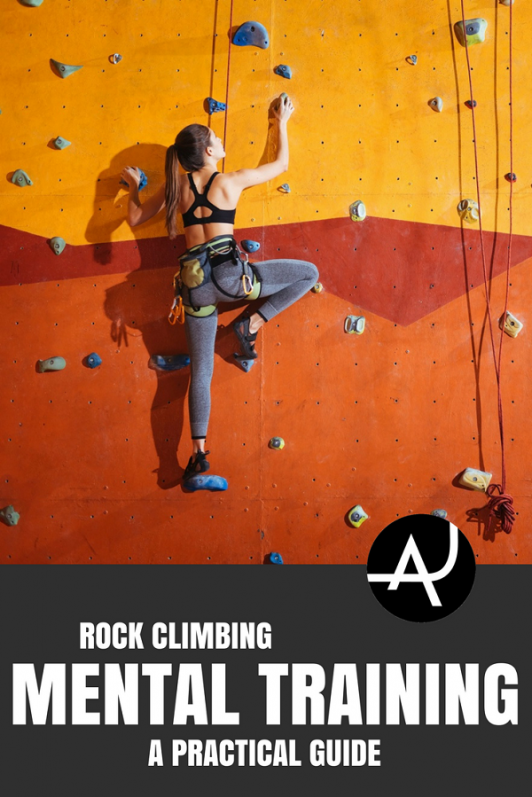 Refining this technique can reduce the time it takes to send a route and will help you climb with more focus and efficiency when you are back to your project. Beta maps are a similar technique. With this strategy, you draw out the route you are trying to send by illustrating the moves, features, cruxes and rests. Try to include as much detail as possible in your beta map. Consider adding notes on what to think about when you’re in various sections of the route. Use your beta map to help with your visualization practice. Believing in yourself can have an immense impact on your climbing. 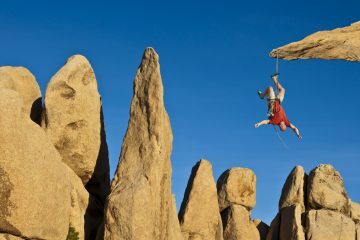 Even if something looks or feels impossible, you are very unlikely to climb it unless you believe it might be possible. Add positive mantras to your climbing self-talk. Examples include “You’ve got this,” “You are strong and brave” and “Stay calm.” Remember that no one else is privy to your self-talk, so use whatever phrases you want to motivate you. Try to remove negative words and phrases from your vocabulary. Avoid words like “can’t”, “not”, “won’t” and “don’t”. Change your mindset to recognize it’s not that you “can’t do a move”; you just “haven’t done it yet”. Learning how to be present is very important when climbing. Staying in the moment enables you to focus on what is required, reduce distractions and stay tuned in to risks or potential dangers. Try to prevent your mind from wandering. Thinking about something you did earlier today will not help you execute moves in the moment. Also, be wary of getting ahead of yourself. If you successfully pull the crux on a route, avoid celebrating early. You don’t want to break your focus in the home run before reaching the anchors. Redpointing a route at your physical and mental limit requires a multitude of specific strategies and approaches. Climb like you’re trying to send the route, not like you’re attempting to avoid falling. Stay focused. Control your breathing. Learn something new every time you go up the route. Learning to separate oneself from the ego is one of the most important mental training tips. This takes into account all of the aforementioned mental strategies. When the ego becomes too powerful, climbers become dependent on the outcome of their climbing and tend to associate their self-worth in the sport with their performance and how others perceive them. By evaluating your experience based on external factors, you deny yourself the opportunity to reflect on how you are really climbing. Every climber has different strengths and weaknesses as well as advantages and disadvantages to their body type. 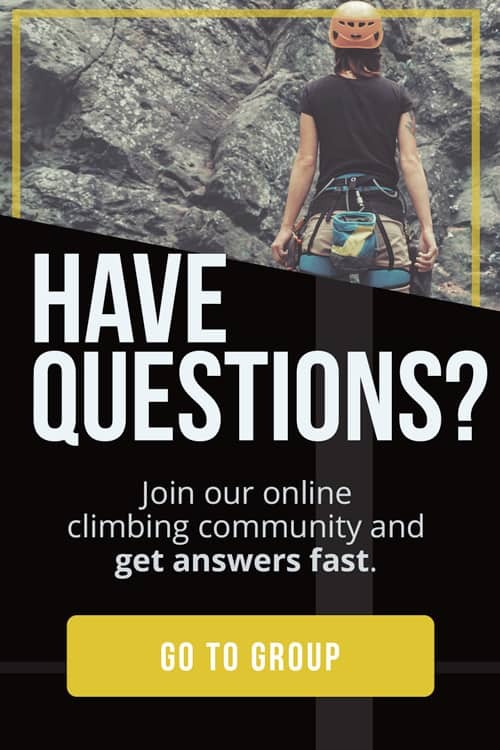 Remember that each climber has a unique personal history with the sport. Comparing yourself to others’ performance or their external conditions is like comparing apples to oranges. When a climber learns to truly value the process of the climbing itself rather than the outcome, there are often significant unanticipated gains in performance, in the appreciation for movement and in the overall experience. Along with the guide, you'll get exclusive content in our newsletter to help you make the most of your time on the wall!